While I love adding colorful details to my looks with eyeshadow and lipstick, my first focus is always my liquid and powder face products. A seemless, even base of foundation, a flattering powder to set, a warm sweep of bronzer, and of course, the perfect hue of blush to give my cheeks some color. To get application just right, of course I need the right tools. My lastest essentials come from Japonesque - the Kumadori brush collection and two finishing powders you can find at your local Ulta. Kumadori Powder Brush | This natural fiber brush picks up just the right amount of product to finish off my base. 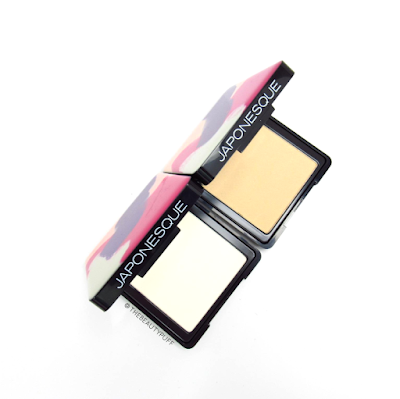 I have been using it with the Japonesque finishing powders and love the results. Its tapered cut allows you to focus on the t-zone or other areas so you get controlled powder application. I could also use it to add brightness to certain areas without interfering with my other makeup. This brush is an absolute must! Kumadori Contour/Highlighting Brush | This brush offers precise application of your favorite powder products. I mainly use it for blush. It's the perfect size to apply product in a small area but also diffuses the product for a flawless finish. I didn't have any products applying too heavily with this brush, it was fantastic! You could definitely highlight with it as well, but I leave that to the fan brush! Kumadori Blending Brush | I've never owned a brush this shape or style so I was really excited to try it. The natural brush hairs can be used to blend liquids or powders, but I used this brush mainly for powder bronzer. Its narrow shape is ideal for bronzing alongside the hairline and keeping application in a focused area on your cheeks. This brush took a little while to get used to but was actually quite comfortable to use. A very unique addition to my collection! Kumadori Fan Brush | I never really focus on fan brushes when I'm shopping. This brush however, was so incredibly soft with just the right density making highlighting a breeze! It feels light as a feather on the skin and picks up just enough product so you'll get a beautiful highlight every time. I typically use a small tapered brush for highlighting but I found myself reaching for this brush more and more. I'm definitely going to experiment with applying more powder products with this fan brush. Kumadori Buffing Brush | This foundation brush is made with synthetic fibers to evenly distribute product and give you the perfect base for your makeup. The handle is shorter, making it ideal for travel but it performs just as well as a full size brush. I simply apply a bit of foundation to the back of my hand, tap the brush in, and apply as usual. This brush washes beautifully but as with any other brush, only get the bristles wet. I am particularly careful with these Kumadori brushes as they do not have metal ferrules like typical brushes. Overall, I love the Kumadori style. They are incredibly lightweight and comfortable to hold. A beautiful addition to any makeup lover's collection! What's a beautiful brush without a beautiful powder to use it with? Japonesque has powders in two formulations that work hand in hand with their Kumadori brush collection - Velvet Touch and Pixelated Color Finishing Powders. Velvet Touch Finishing Powder | Now in four versatile shades at your local Ulta, this powder is the perfect finishing touch for all your makeup looks. This microfine powder blurs skin to provide a natural, yet matte finish. It's not cakey or heavy on the skin so it's perfect for this, or any time of year. I focus this product on my t-zone where I get most oily. 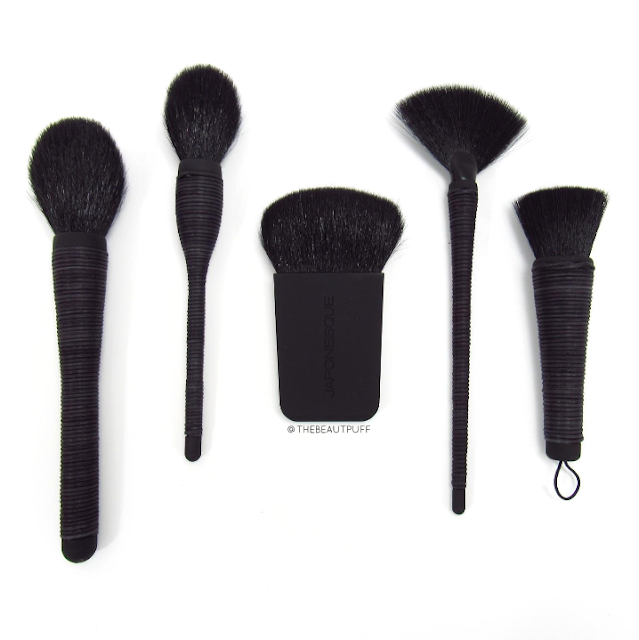 The Kumadori Powder Brush applies the powder evenly for a gorgeous matte finish. Pixelated Color Finishing Powder | When I'm craving a more luminous look, I reach for the Pixelated Color Finishing Powder. It provides a natural glow to the skin without looking too shiny or unnatural. I love using this powder over matte foundations to give my skin a bit more life and luminosity. As with the Velvet Touch powder, there is no caking or settling into pores. I also apply this powder with the Kumadori Powder brush. You can find Japonesque products at your local Ulta, or on their website below!